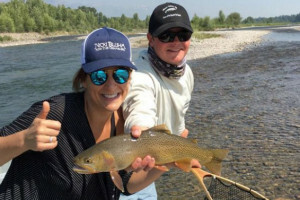 Local outfitters in Jackson Hole, Wyoming and Teton Park itself, offer horseback riding adventures that are fun for the whole family. Take your pick from one hour to half day to multi-day rides. 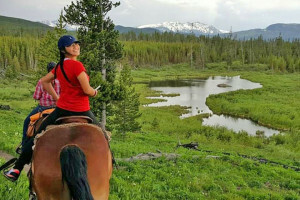 1, 2, & 3 hour trail rides from our horse camp in Pacific Creek on the boundry of Grand Teton National Park, east of Jackson Lake Lodge. 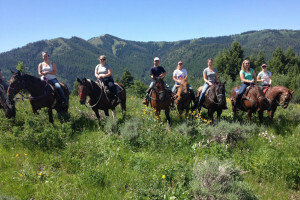 The best trail rides in Jackson Hole! 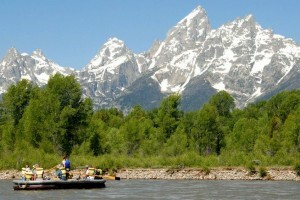 Sway through fragrant wildflower meadows high in the Tetons on a day horseback ride. Bring your camera for the awesome views! Full day, 1-hour and 2-hour rides available. No gunfights, but Cowboy fun for family! One, Two & Three hour rides. Half Day or Full Day rides, or a 2 hour Evening ride. Plus, all-day rides to fish the backcountry. 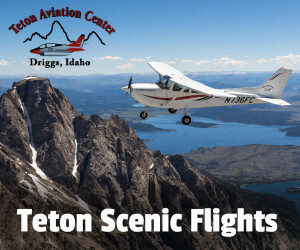 Offering easy trail rides near Jackson Hole Mountain Resort. 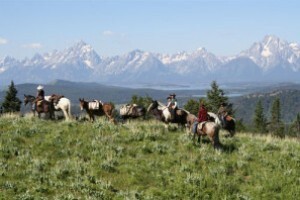 Leisurely 1-hour rides leave on the hour from 8:00am to 5:00pm, 2-hour meadow/mountain rides every even hour. 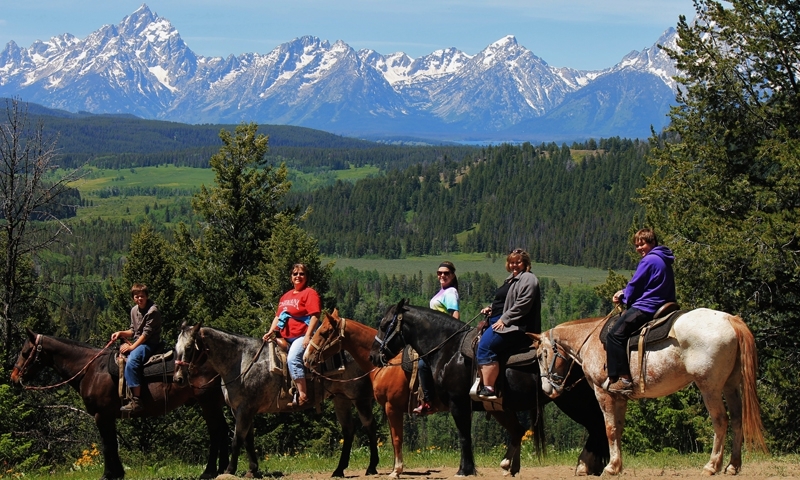 Come enjoy a morning ride in the Teton Wilderness after enjoying a hearty breakfast, preceded by sleeping in our glamping tents, and having enjoyed our Cowboy Western Cookout. 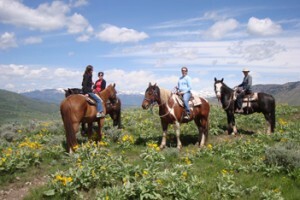 Relax & enjoy the pristine mountain air on one of our horseback rides. Two hour and full day rides. 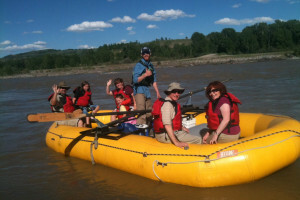 Horseback riding tours & vacations on 6 continents including Wyoming & Arizona for broad range of ability. America's oldest & largest tour company. 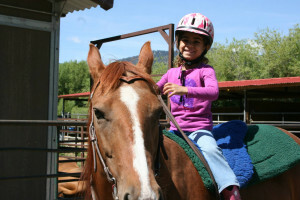 Enjoy riding horseback on scenic woodland trails past pristine lakes and through wildflower meadows. Horses are available for riders of all levels with rides departing hourly. Horse trail rides in and around Rocky Mountain National Park.